According to Vijay’s recent stats, on an average, he has 3 releases in 2 years. That is how he generally goes about it. He is one of the actors who is known for managing both his professional and personal life very well. Vijay looks to be a good planner and doesn’t sign too many projects at the same time. On most occasions, it looks like he decides on his next venture only during the later stages of his current film’s production. Now that we are slowly coming to the business end of his upcoming film Bairavaa, all eyes are on his next. Who is he teaming up with next? A question that resonates in every Vijay fan’s mind. At this juncture, it looks like Atlee happens to be the front runner to direct this project. And there are rumors that it will be produced by Sri Thenandal Films. 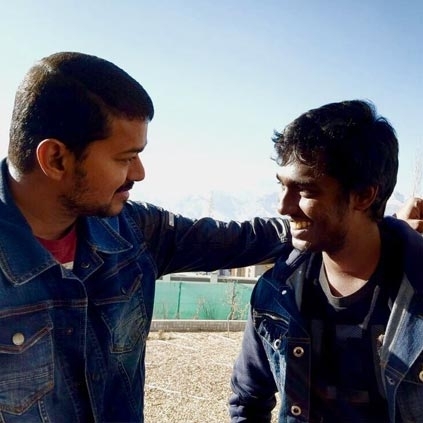 When we checked about this with our sources, they agreed that Atlee had met Murali of Thenandal Films recently but nothing has been finalized yet. Probably in a week’s time, we might get a better picture regarding this. Stay tuned and we will keep you posted! People looking for online information on Atlee, Ilayathalapathy, Sri Thenandal Films, Vijay, Vijay 61 will find this news story useful.